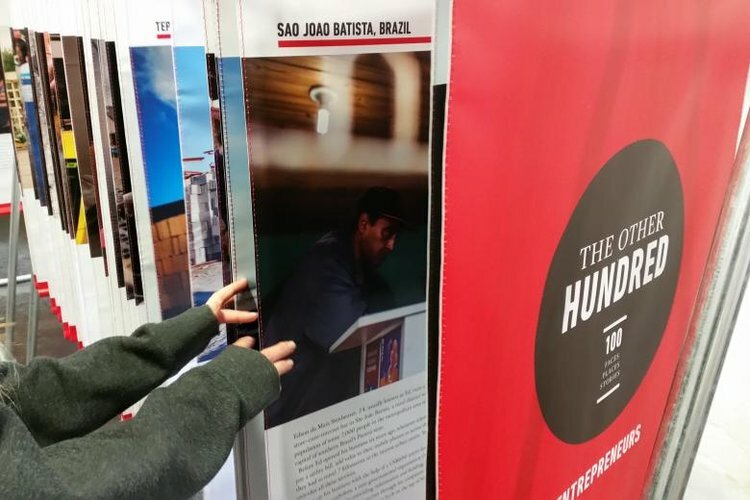 The Other Hundred Entrepreneurs was featured at the 2015 FORMAT International Photography Festival. The FORMAT International Photography Festival was established in 2004 and today is one of the UK's leading international contemporary festivals of photography and related media. FORMAT organises a year round programme of international commissions, open calls, residencies, conferences and collaborations in the UK and Internationally. The 2013 festival welcomed over 100,000 visitors from all over the world. The biennale and off year programmes celebrate the wealth of contemporary photographic practice. The programmes feature everything from major conceptual works, participative projects, documentary and all that falls between categorisations, from the mobile phone to the archive.